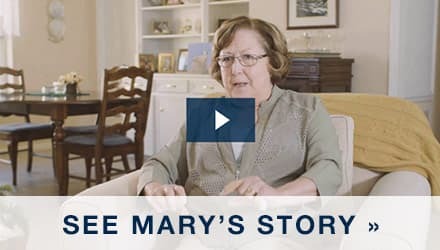 Watch Mary’s walk-in bath customer review. 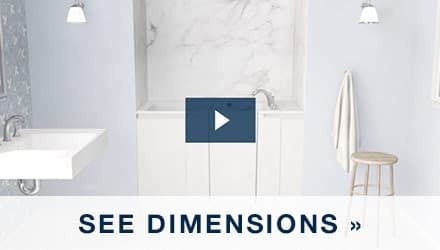 The KOHLER® Walk‑In Bath comes equipped with safety features for people with limited mobility or want the peace of mind to bathe comfortably. 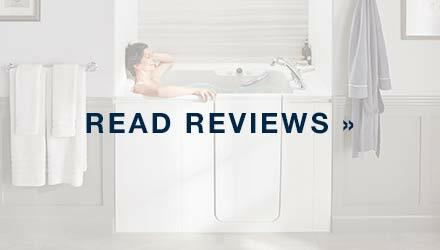 Read a real walk-in bath customer review with the transcript below, or watch the video. Read More. I’ve had three back surgeries for the past three years, and the pain in walking, standing… I have to sit down to relieve pressure from the stress on my back. And I can relax in my walk-in tub. I can relax with the massage jets and the bubble jets and it’s like it’s my cocoon, really and truly, because the size it is and the inside, it’s cozy. You feel secure and protected. I’m very independent, and I want to be able to take care of myself as much as possible and stay in my home. And I know that I could stay in this house forever. The walking in, the low step—just a couple of inches to step over into—and the wonderful proximity of everything that I need to bathe with being right there, and that chair, the seat in the tub, is awesome. That's the best part of it for me because it's part of the tub, and then when you can turn on the heat, oh! That’s just wonderful, it's now one of my favorite rooms in the house. 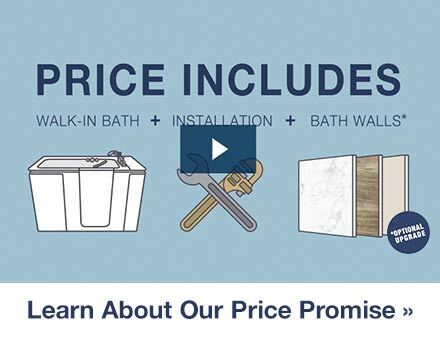 Kohler is just such a big name and it’s been synonymous with quality, and I just said, “Oh, it’s Kohler, it’s such an excellent company!” You’re buying a lot more than a tub. You’re buying security, you’re buying safety, you’re buying comfort. It’s really, it’s a deal!